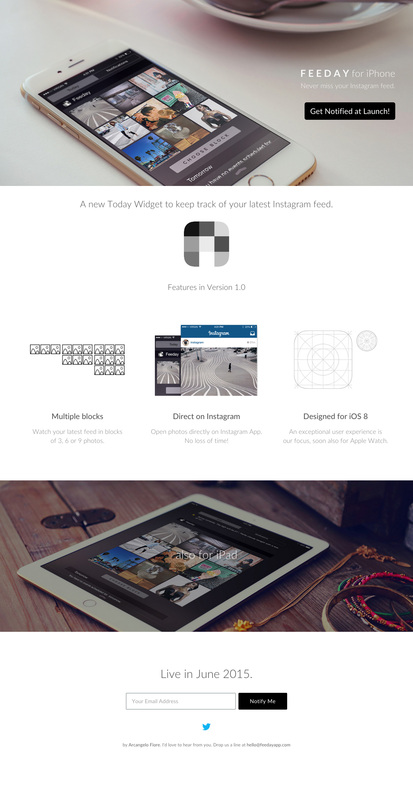 Responsive launching soon page for ‘Feeday’ – an Instagram app that integrates your feed with iOS’s Today Widget. Responsive landing page for Feeday Today Widget app. I created some animation to describe the features with a fade in effect, and I created the illustrations containing screenshots for both iPhone and iPad with Photoshop (I think very important to make it clear to the user).